Do you want to buy Calculators? Our team knows how hard it is to find the best offer in the UAE. That's why we've gathered 0 e-shops from all over the country! You can select and compare prices among 100 product offers without leaving your armchair. Large amount of offers will help you to choose device for any color and taste. We've found the best prices for you. 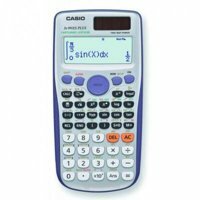 Choose among Calculators from 49 AED up to 89 AED. 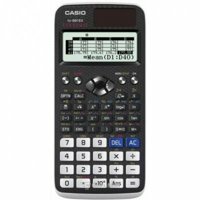 Also you can read comments, reviews about the Calculators, watch photos and video-reviews. To order the product you need to go to the shop partner page and make a purchase. Don't forget to ask about payment methods and delivery! 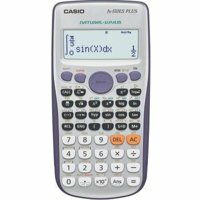 CASIO CALCULATOR JJ-120D The JJ-120D features Casio’s popular 150 steps check function, and features the world’s first localized number display that can be switched to an Indian digit separator format. 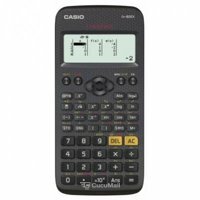 TEXAS INSTRUMENTS CALCULATOR TI-30XA SCIENTIFIC This one-line battery operated model performs basic scientific and trigonometric functions.